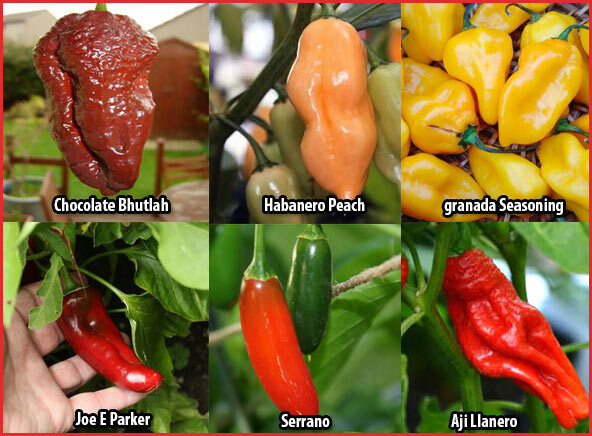 I raffled a few chilifröer to hot and mild varieties! » Chili – Hobbyodling av chilipeppar! ← Test to germinate seeds in Coir – Coconut fiber. I raffled a few chilifröer to hot and mild varieties! so click below to proceed. 12 January 2014. The winner will receive an email from me. one of these that I will draw a winner from. and it was Helen: Jalal Maleki, congratulations! 68 Responses to I raffled a few chilifröer to hot and mild varieties! Like spicy food as long as I can remember, and has cultivated the chili itself so it will be extra good. Testar gärna lite nytt. Hope on tour. Förra sommaren satte jag frön från ett par olika Capsicum annuum och ett par Chinense i jord. Chili visar sig vara en relativt lättodlad växt med en otrolig variationsrikedom i utseende, form och smak. Jag har utvecklat ett “starkt” beroende, och frukostmackor UTAN chili är numera otänkbart. Jag har läst och lärt under året. I skrivande stund tittar 22 olika sorters plantor redan nyfiket upp ur sina krukor (dock ingen av ovan nämna sorter) from two newly purchased growing stations. Now I long for spring so I can start up my greenhouse again and move out my new darlings, and those that I possibly managed to Hibernate under fluorescent lights in the laundry room. Feel good! 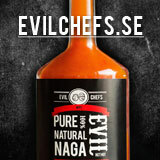 Now I have to try to tweak my tolerance to capsaicin, so I can enjoy with the hard boys (and of course tjejjerna)! I have been crazy about chili since a long time back.